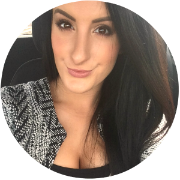 Next up in my best of 2015 series, after sharing my makeup and hair favourites, I'm giving you the low-down on my top skincare picks. Although skincare is one of the beauty categories I get most excited about, I'm very careful with what I try. After years of attempting to figure out what products work for me, I feel like I've finally hit the nail on the head. Fortunately, my skin seems to have balanced out now that I'm in my mid-twenties; I don't get many spots and even though I have a dry skin-type, my routine keeps my skin hydrated and under control. I've tried a bunch of makeup removers, but nothing gets rid of every scrap of makeup like Bioderma. Whilst the original formula is great, I discovered the Bioderma Hydrabio H2O Micellaire Solution last year, which is a much better match for my drier, dehydrated skin. Not only does it quickly and thoroughly dissolve all traces of makeup, including stubborn mascaras, but this version leaves my skin feeling slightly moisturised. There's a very good reason why Bioderma is such a cult-classic. Since first trying it, the only cleanser I've had eyes for is the Oskia Perfect Cleanser. Don't get me wrong, there are others that I adore, but nothing comes close to this. A rich, nourishing balm, this delivers a serious surge of moisture, soothes irritated skin and lifts away impurities, all at the same time. Full of amazing ingredients, it's a real treat for the face and feels so luxurious. I've mentioned this recently in my 3 Cleansers For Dry Winter Skin post, so I won't harp on about it any further, but if you have dry, unhappy skin - try it! Another gem from Oskia is their Renaissance Mask, which I also discovered last year and raved about in a dedicated review. Whenever my skin is acting up, I turn to this jar of goodness. Just like their cleanser, this luxurious mask is also chock-a-block with nutrient-rich, quality ingredients that work to give instant results. Full of fruit acids and enzymes, it gently exfoliates the skin to leave it softer, clearer and more radiant than ever. It's a total essential of mine when I'm pampering myself the night before a special event or occasion! Toner is something I flit between using and skipping, depending on how my skin feels. 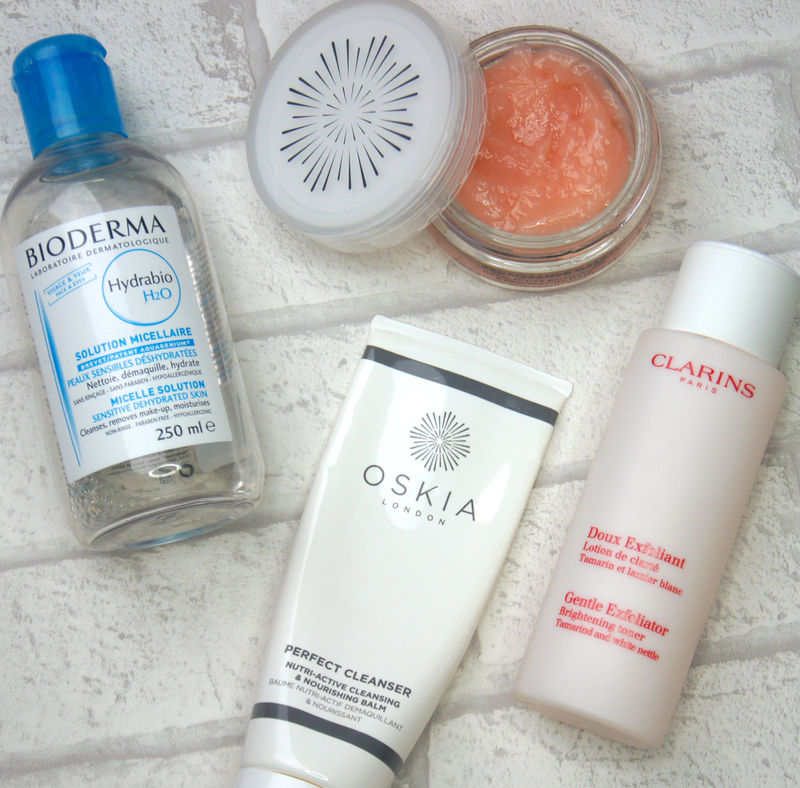 To be honest, there haven't been many that have truly blown me over, with the Clarins Gentle Exfoliator Brightening Toner being the only exception. Many brightening lotions and potions that I've tried, including those in soaked pad form, are just too harsh for my face, often leaving it red raw and irritated. Clarins' gentle formula, on the other hand, never stings and leaves my skin super smooth, soft and moisturized. Anything I apply over the top sinks in like a dream and my skin both looks and feels perfect when I use it religiously (around 4 times a week). If I run out or don't take it away with me, I soon see the effects and find I start getting a few break-outs and my makeup never looks as even or flawless. To keep my skin in tip-top conditioner, serum is a must in my routine and nothing compares to the Sarah Chapman Intense Hydration Booster, for me. A few drops of the silky liquid is all you need to plump the skin and put some juiciness back into it. Helping to protect the skin from the outside elements, it acts as a bacterial barrier to prevent break-outs, too. Oil-free and absorbing instantly, it doesn't feel heavy or greasy and it makes such a difference to how radiant my skin looks and how seriously smooth it feels. As I'm still in my mid-twenties and haven't noticed any crow's feet appearing around my eyes just yet, it'll be a few years until I start purchasing eye-wateringly expensive, anti-aging eye creams. At the moment, I prefer to stick to something cheap and cheerful that will simply keep my eye area hydrated and supple. Enter La Roche-Posay's Hydraphase Intense Eye Rehydrating Concentrate. Being a gel, this formula is so light and refreshing, yet delivers a veil of moisture. Once patted around the eye contours, the skin feels tighter and any puffiness is reduced, especially if you store the tube in the fridge! 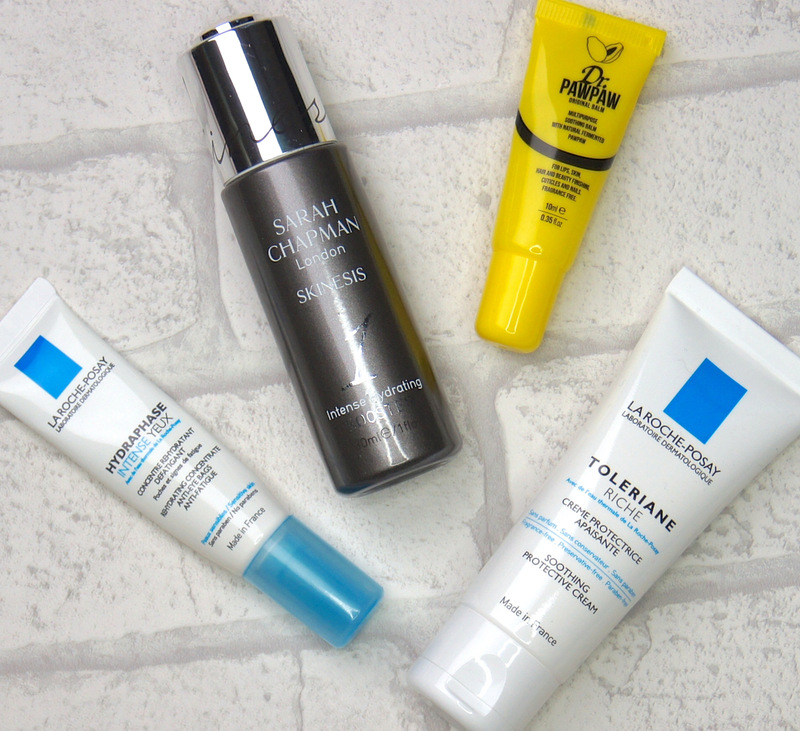 Another product from La Roche-Posay that is a total must-have in my skincare stash, is the Toleriane Riche Soothing Protective Cream. Free of lots of irritants and nasties, this is a fuss-free moisturiser that just gets the job done. Despite being intensely hydrating and emollient, it doesn't overload the skin and is non-comodegenic (it won't clog your pores, basically). If my skin is ever having a sensitive flare-up, this cream never exacerbates the issue and immediately calms any irritation. The finish of it is quite dewy and it doesn't all sink in straight away, depending on how much you layer on. But, that extra layer of slip make it a great, priming base before makeup for those with dry skin. I have so many lip balms dotted around my apartment, in the car, piled up in my beauty drawers and sitting at the bottom of my handbag, that I'm never caught short without one. So, it's a true testament to how much I love the Dr Paw Paw Original Multi-Purpose Soothing Balm* that I find myself rummaged around to hunt it down, rather than just using any other I find. This balm is so thick and nourishing that it can repair even chapped, cracked lips in just a few applications. As it has a multi-purpose formula, it can be used to moisturise any dry skin or to add a glossy sheen to your makeup. 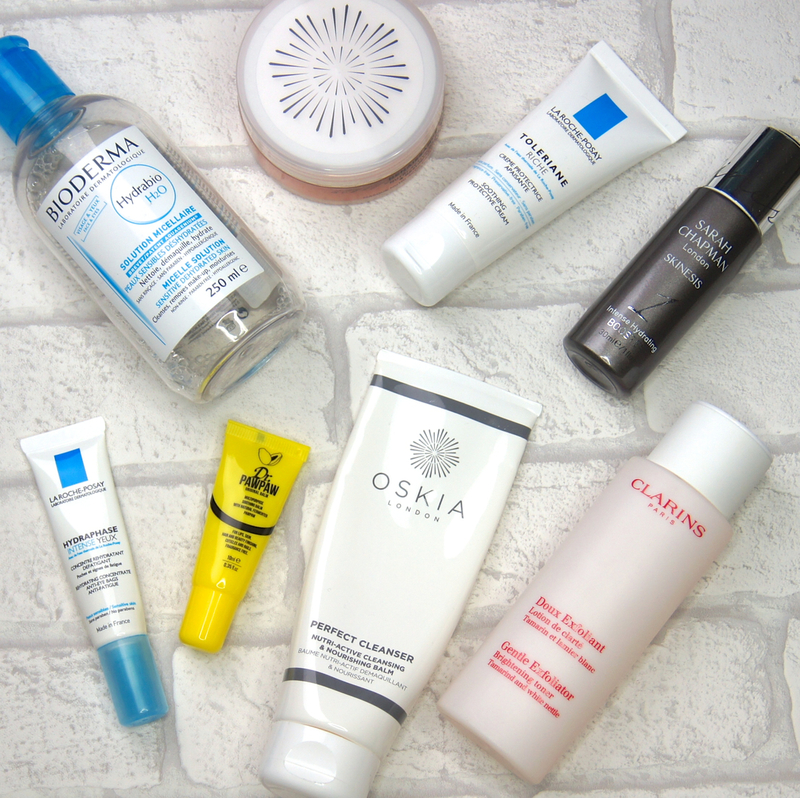 What were your skincare favourites of 2015? I adore the Clarins Doux Exfoliant, I use it every morning on my combination/oily skin. I've heard so many good things about Paw Paw but I'm yet to try them! I've not tried any of these products but I'm loving the sound of Oskia at the moment, the Renaissance Mask sounds fab! i used to love the clarins exfoliating toner but it broke me out so bad after a while. such a shame. I just picked up the Oskia Renaissance Mask along with the cleansing gel and oh man - I love them both! These two have done an amazing job at helping my face feel clean deep down and have really helped provide a bright, lit from within glow. Sarah Chapman is a brand I've been hearing a lot about and I'm hoping I'll get to try some products this year! I'm also in love with Dr Paw Paw. I always keep it to hand and its been my favourite lip balm since the summer!